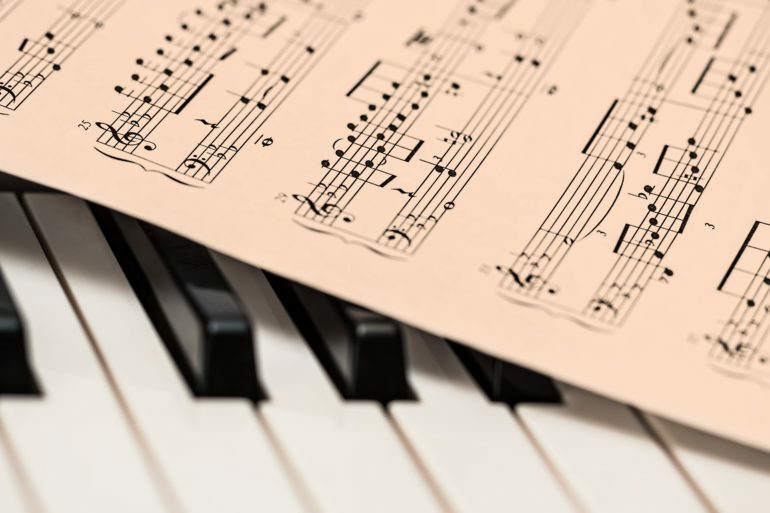 Music recommendation services are taking on Web 2.0 functionality integrating the best of user generated content, communites and social networking. Since the first consumer logged on to the Internet, user reviews and recommendations became increasingly important. Now the music industry and some music fans caught on. The result are several new websites, which let users and listeners judge and choose what they want to hear. The music fan, the listener and the music critic become one and the same person. Users can socialize based on their music taste, explore and discover new music through playlists of friends and the social network of these new user-fed web applications. More than ten million times a day Last.fmâ€™s Audioscrobbler music-engine gets fed by itâ€™s users. 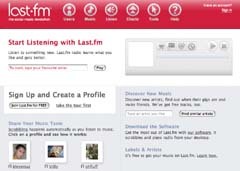 Simply by playing a song on their computer or iPod users add their music to the library, the so called social music platform of Last.fm. The engine than creates charts and play lists for the users according to their music profile and even generates personal radio stations. Every music profile is public, that means each user can listen to every radio station created. This is one way to discover new music and find musical soul mates. Last.fm also creates music charts for every user, which can be shared through MySpace, Livejournal, Facebook or a personal blog. Via the Last.fm dashboard music fans can even check on the music their friends are listening to right now. 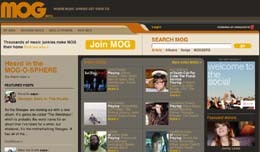 Users can search for music, songs, artists, and for other users, groups or forums. Last.fm is so far also the only social music platform, which features classical music and Flickr pics. Pandora is an Internet radio station, designed to help consumers discover more music they like. Music Fans simply have to type in the name of their favorite artist or song and the website automatically creates a streaming station which plays similar songs. User can create up to 100 stations and fine-tune them by giving their thumbs up or down. According to this input Pandora.com will change the music mix. So far the archive continues 400.000 songs, bands and musicians are free to send in their material. Only downside: Copyright restricts Pandora.com to play the exact same song typed in initially â€“ occasionally it might be played in the mix. Pandora will ad advertisements to its service soon, for an ad-free streaming radio users will have to pay $36 per year (unlimited use). 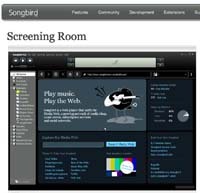 Songbird is a “mashup” of a desktop media player, a digital jukebox and a web browser, kind of an open-source, cross-platform analog of Windows Media Player or iTunes. It promises to play any audio-file, supports 30+ languages, runs on Windows, Linux, and Mac OS and is built from Mozilla, like Firefox. Songbird is even compatible with the iPod, although users have to be careful as a first sync deletes all files already saved on the device. Another interesting feature is â€œDynamic Mixesâ€, which enables the user to get mixes from the internet and stay up-to-date with the latest downloads and casts. By allowing users to â€œPlay the Webâ€, any MP3 found on a certain web site can be played like a local file. Songbird is still under development, but the Developer Preview, version 0.2.1, can be downloaded already. 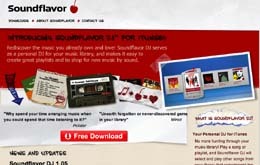 Soundflavor.com is a computer-generated DJ – or better, mix tape aka playlist maker – for iTunes users. Music fans just have to play a song or playlist and Soundflavor DJ will select and play other songs from the library that complement the music the user is listening to. This way playlists can be created instantly based on sound, style or era. Soundflavor also recommends new music, similar to the users taste. Of course these are available from iTunes. 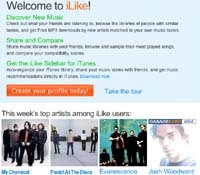 iLike is the MySpace of the music discovery sites. Friends can share their music libraries, browse and sample their most played songs, and compare their compatibility scores. ILike als features a sidebar for iTunes, helps to auto-organize the iTunes library and recommends music related to the users taste. Music can also be recommended through the network of friends. The user can also discover new friends through his music taste. And MP3s of new artists are free. Music Hawk tries to get its share of the market by generating personalized information for music fans: tour schedules, music news and supplies of band videos and MP3s. Friends can invite each other and share their taste through the MusicHawk Charts. The Hype Machine calls itself â€œan experiment that keeps track of songs and discussion posted on the best blogs about musicâ€. It does not provide songs for download or music streams, but caches frequently accessed tracks which can be previewed. The Hype Machine also links to the blogs that are tracked and quoted. 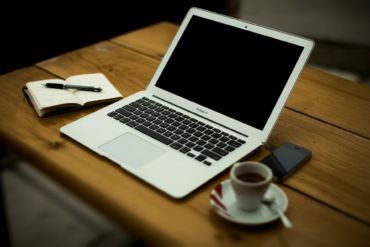 It is basically a hub for different blogs and sends the user out to discover new music through his own preferences. 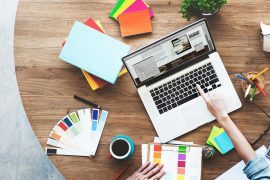 The concept is easy, but highly effective: By matching peoples preferences with a database of other users patterns the new websites cannot only provide personalized recommendations but also build up a huge network. Consumers profit by the ever growing amount of consumer generated and consumer fed content and of course the possibility to connect with other users and build up their own network. The Spanish based company MyStrands has taken the concept of music recommendation 2.0 already into real life. 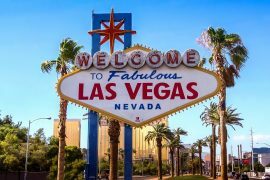 With PartyStrands, the company created a service for bars and nightclubs that allows guests to â€œinfluenceâ€ what music is played via text messages they send to a screen from their cell phones. There is also a Web site, which shows what is happening at the club in real time, currently available at clubs in New York, Corvallis (USA) France and Spain.